Hi guys! I've reached the point where I feel comfortable enough to make a thread for my HUD. It is inspired by the original yaHUD. Hopefully y'all find it satisfactory. Can't get enough of that feedback, so report anything stupid you may find and I'll look into it. Also please let me know of any suggestions or ideas you may have. This is a side project for me, so I may not get back to you insanely fast, but I hope to keep the HUD up to date for everyone. Shoutouts to whayay, Fog, omp, rays, Doodle, Zimmy, and everyone who has used my HUD before this point. Without your guys' guidance and feedback, this wouldn't be where it is today. Looks really clean, nice job! It's fantastic, I'm probably converting to it now to test. 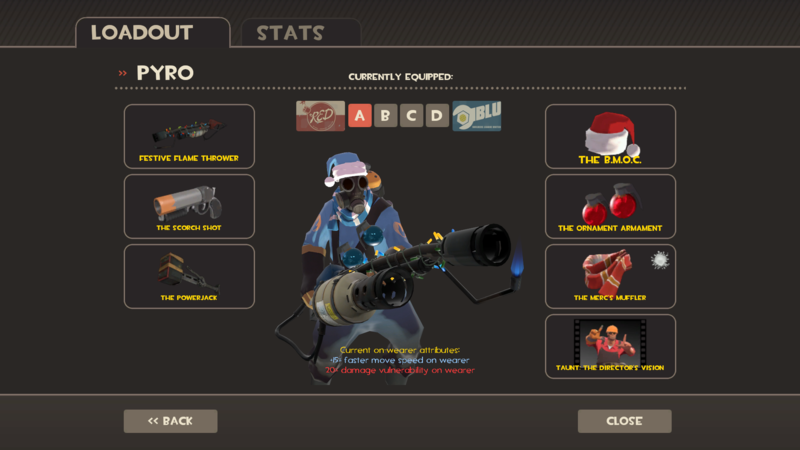 I discovered you can put the item importer preview stuff in the loadout preview which lends itself to interesting possibilities. Basically, it's a miniature in-game HLMV with the same controls. You can pan the camera, zoom, and rotate up/down instead of just left/right. Plus you can even change the light position. When you change items/presets it resets back to the default position/rotation. To change the lighting position, hold CTRL and drag with your Left Mouse Button. To pan the camera, hold SHIFT and drag with your Left Mouse Button. To zoom, drag up/down with your Right Mouse Button. To rotate the camera, drag with your Left Mouse Button, either left/right or up/down. 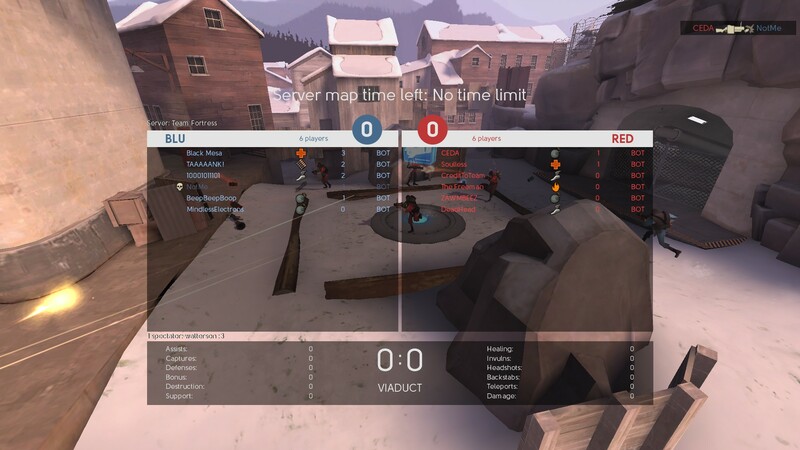 A 4:3 scoreboard would be great. Really nice hud. I have a background from an older hud I was using and I'd like to keep using it for this one. How do I change that? AllealReally nice hud. I have a background from an older hud I was using and I'd like to keep using it for this one. How do I change that? Chrom3w0lf AllealReally nice hud. I have a background from an older hud I was using and I'd like to keep using it for this one. How do I change that? There are extra ones in this hud though, and when I tried that I got a missing texture. Alleal Chrom3w0lf AllealReally nice hud. I have a background from an older hud I was using and I'd like to keep using it for this one. How do I change that? Change the 6 entries in the first list all to background_2fort or what have you. Then you'll need to go to the materials/console folder and delete the corresponding .vtf and .vmt files. Rename your own files to the ones you just deleted and put them in the folder. You should have your background after that. Interesting, hope to see this hud keeping up with updates! 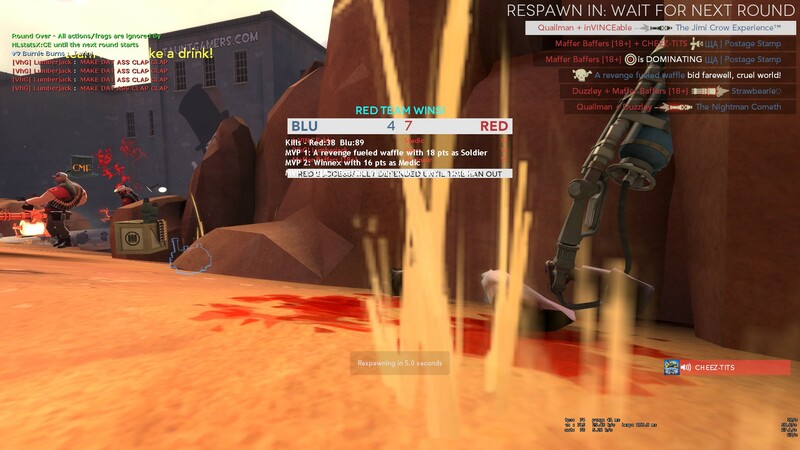 xeroPwny, can you make it so then hud player class model setted off it doesnt show anything? Because now it showing ugly things in left corner. Hey there, if you're asking if there's a way to move the class picture off-screen when the 3d models are turned off, then you need to just to to HUDPlayerClass.res and change the very first ypos and ypos_minmode values to 90. Absolutely love it. Had some minor issues to point out, though. 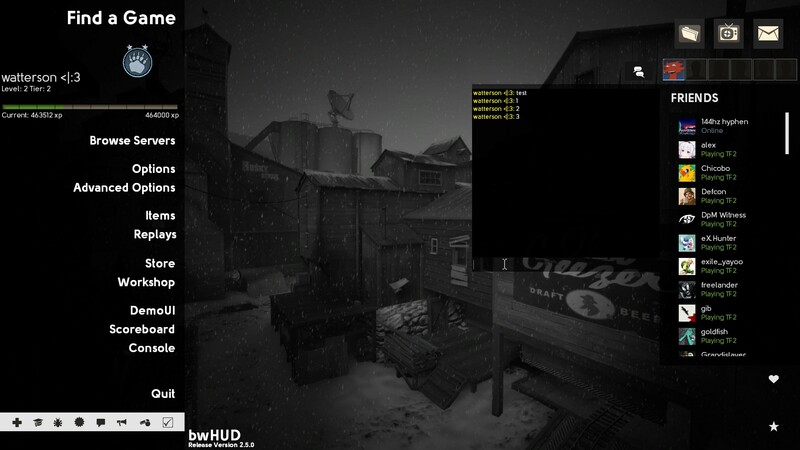 Some servers have plug ins that show the top #3 on the enemy team post round. It seems like the post round score marker blocks it. -added 4:3 Scoreboard, please let me know if anything is broken on it. 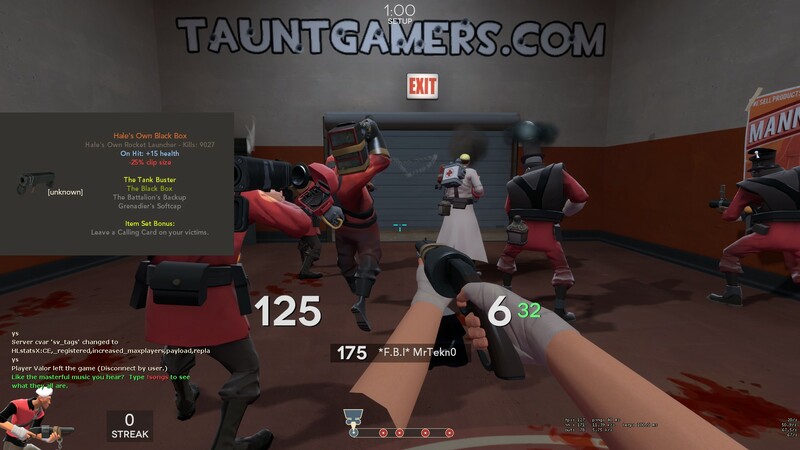 RaptorSome servers have plug ins that show the top #3 on the enemy team post round. It seems like the post round score marker blocks it. Go to scripts/hudlayout.res and ctrl+f for winpanel. Change the ypos to 125.
will check out soon for sure! I just downloaded the hud and i really liked it. Tho i want to change the position of the health and ammo -> to be a bit lower. BUT all my text files seem really messy when i download huds from GitHub, any idea how to fix i really wanna use this hud with my own personal edits. ishzbtI just downloaded the hud and i really liked it. Tho i want to change the position of the health and ammo -> to be a bit lower. BUT all my text files seem really messy when i download huds from GitHub, any idea how to fix i really wanna use this hud with my own personal edits. Get notepad++ that should organize everything as it should be. Stealthy ishzbtI just downloaded the hud and i really liked it. Tho i want to change the position of the health and ammo -> to be a bit lower. BUT all my text files seem really messy when i download huds from GitHub, any idea how to fix i really wanna use this hud with my own personal edits. really nice hud man. 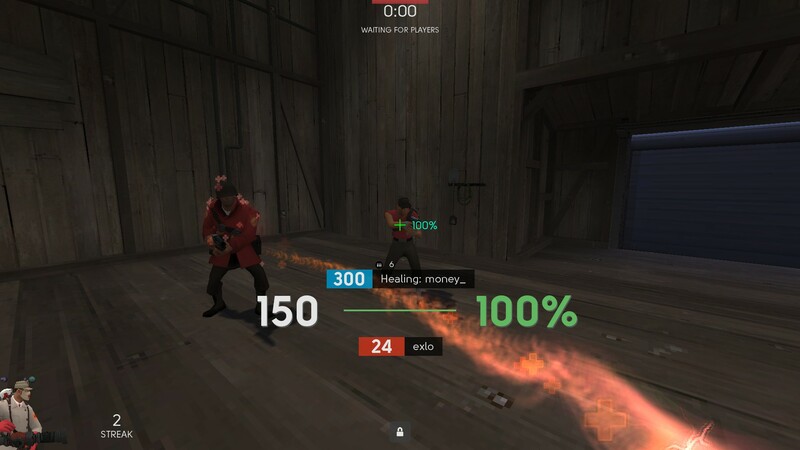 do you have other health files that dont have the pulse cross, just the numbers?